Marvelous! 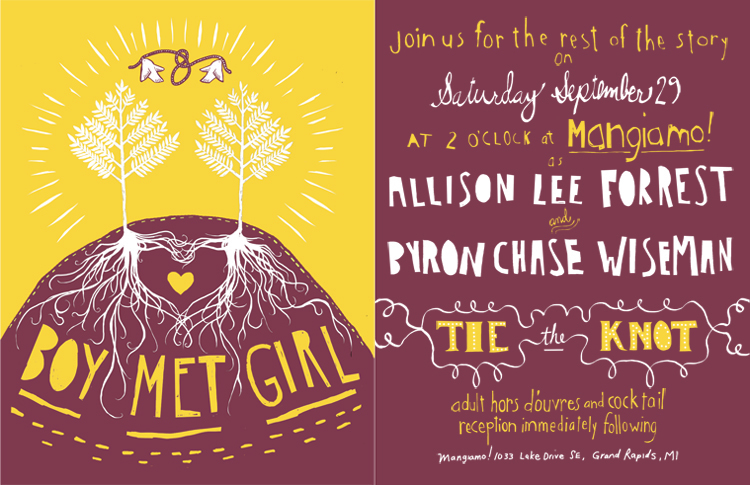 It’s not everyday you get the honor of designing a dear friend’s wedding invites! Here’s one that I did for Allison and Chase! All hand drawn fonts and such! Here’s to many platinum years friends!